Yea I like to watch the credits! I can't believe they got ? 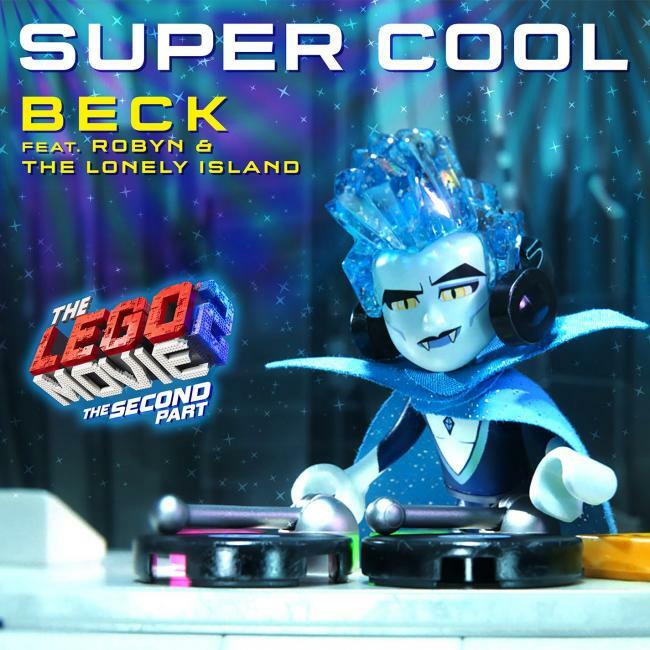 "Super Cool" is the closing song in the 2019 movie The Lego Movie 2: The Second Part. According to one news report, it is a song about how cool the closing credits are. Beck wrote and performed on it, and Beck got Swedish star Robyn to sing on it too. The Lonely Island, who Beck has worked with before, also provide three raps. The filmmakers told Fandango that they gave Beck a note to "make something cool" for the end credits, and he did exactly that. The version that has been released on Youtube and Spotify is 3:23 and what I'm calling the 'single edit' here for now; though it is also the version on the soundtrack album. In the actual movie credits, a longer version is played which has a third rap by The Lonely Island and an extra Beck verse. Hopefully it will be released somewhere sometime.